"Mystery School of Self Mastery"
Are regarded by some as an early instance of self improvement practices over 4000 years ago, under the influence of Imhotep. Imhotep served as Chancellor and as High Priest of the sun god Ra at Heliopolis. He was said to be a son of Ptah, his mother being a mortal named Khredu-ankh. Sleep temples were self healing portals of sorts, facilitating the healing a variety of unbalances, perhaps many of them mentally induce in nature. The practices involved chanting, placing the participants into a trance-like deep relax state, and observing their dreams in order to determine how to create a well balance life. Meditation, fasting, baths, and offerings to the patron deity or other spirits were often involved as well. 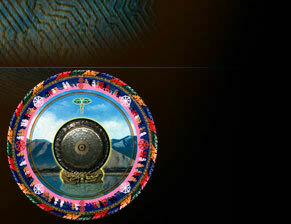 Bathe in the sacred vibrations of the planetary gongs inside the dome. The purpose of the Integratron is the rejuvenation of the human body, similar to recharging a battery. It is located in the intersection of powerful geomagnetic forces that, when focused by the unique geometry of the power-enhancing dome, will concentrate and amplify the energy requiered for cell rejuvenations. Ajeet and her band weave together ancient rhythms and melodies, deep meditative spaces and heart-opening songs to bring you on a journey throught music. Their concerts are an opening to spirit, a ceremonial space, and an opportunity for deep connection. Accompanied by Ezra Landis on guitar, Raffa Martinez on percussion, allow Ajet's voice to carry you to another realm. 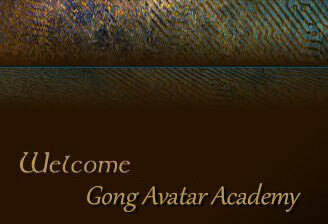 The Gong Avatar Academy will immerse you in sacred sound vibrations of the planet gongs. A JOYFUL, BLISSFUL AND REJUVENATING EVENT. yoga mat, blanket, and pillow for seating comfort and Deep Relaxation for the Gong Immersion. 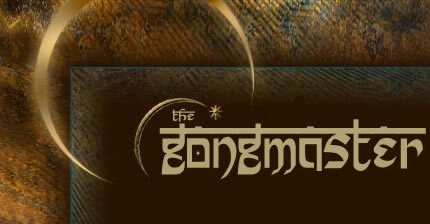 Join Sotantar for a Sound Healing experience with the primordial sacred sounds of the Gongs. You will be immersed in sound as you are guided into a deeper level within. 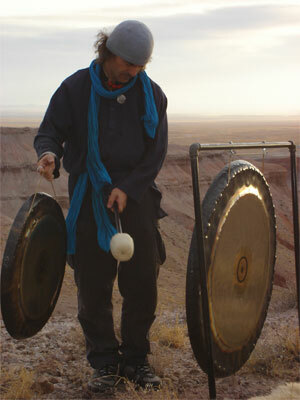 A Sound Healing with Gongs is like a very deep and lasting massage by tuning the physical body and soul to the greatest possible resonance while totally letting go. It is like effortless yoga with great results. The Gong sounds and vibrations trigger a meditation  contemplation state in which we have the opportunity to relinquish control of the mind. Negativity and chaos are suspended, conflict and resistance are cleared. The mind, body, and spirit are reset to a synergy state of synchrony and alignment, allowing us to connect with the infinite self with ease. Are regarded by some as self improvement practices over 4000 years ago,under the influence of Imhotep. That served as Chancellor and High Priest of the Sun god Ra at Heliopolis in ancient Egypt. APRIL 22 - What is Meditation?, why meditate?, basic postures, breath, props, intro brain waves, unplugging practice in class. MAY 20 - Evaluating our personal practice and how to take it to the next level, unplugging practice in class. JUNE 17 - How to master Meditation, choose the technique that works for you, how to develop and maintain a personal practice, unplugging practice in class. Join Sotantar Suraj for a transformational experience as you heighten yourself-awareness, peace and well being. You will be guided through a meditation and relaxation technique to prepare your for the Planetary Gong Healing Session. internal serenity, effortless joy, feelings of well being, Increasing radiance, energy, vitality, balancing the Chakras, strengthening the nervous and immune systems. Enhancing awareness and intuition Rejuvenating mind, body and soul. Sotantar offers workshops all over the world and has practiced and studied yoga, meditation and healing since his childhood in Spain. He had the privilege to meet and be taught by the Master of Kundalini Yoga, Yogi Bhajan. teacher trainer in Los Angeles and Orange County, California. He is the Founder and President of The Gong Avatar Academy, a school dedicated to study and practice ancient techniques for awareness, self mastery, mysticism and sacred sound. Sotantar brings awareness, inspires passion, creates balance, and spreads love, joy and peace to the universal community by teaching and sharing his vast expertise in the technology of Kundalini Yoga and the Gong primordial healing sounds, the healing arts and other disciplines for Awareness and Self Mastery. He is also a Reiki Master Teacher, Sound Therapist and Hypnotherapist. Sotantar has recorded a complete series of CDs available in Itunes including the primordial sacred sounds of all the Planet Gongs and Tibetan Bowls for meditation and healing. After a personal consultation, Including Kundalini / Tarot Numerologies. On booking a course or event, you agree to pay the cancellation fee if you decide to cancel your place on the course. Your cancellation fee increases as the date of the course or event approaches, and the amount you are liable for depends on how late you cancel. Cancellation days are calculated as the number of days before the start date of the course or the event, on the day that you cancel.